The Vol. 1, No. 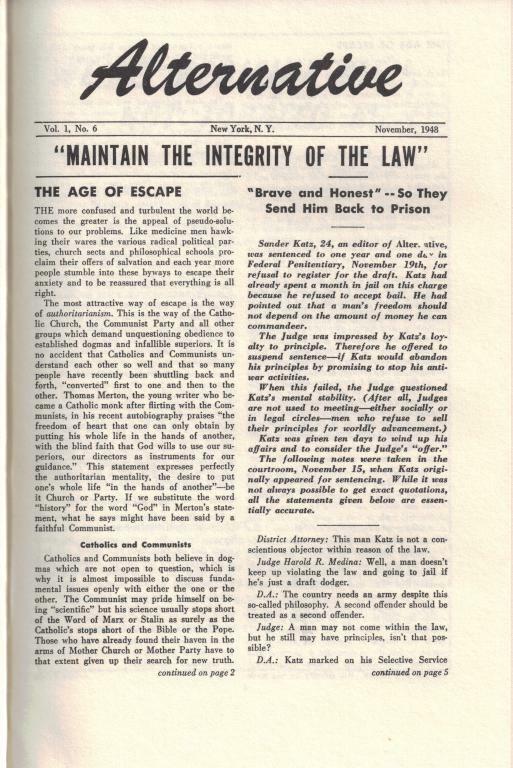 6 (November 1948) issue of Alternative, an anarchist publication produced out of New York City from 1948-1951 and focusing on pacifist viewpoints. -We're medicine men, not tobacco men!